Tens of thousands of mourners gathered in Ukraine's rebel stronghold of Donetsk on Sunday to pay their final respects to separatist leader Alexander Zakharchenko, while an aide to the Russian president praised him as a "brother" and a "hero". 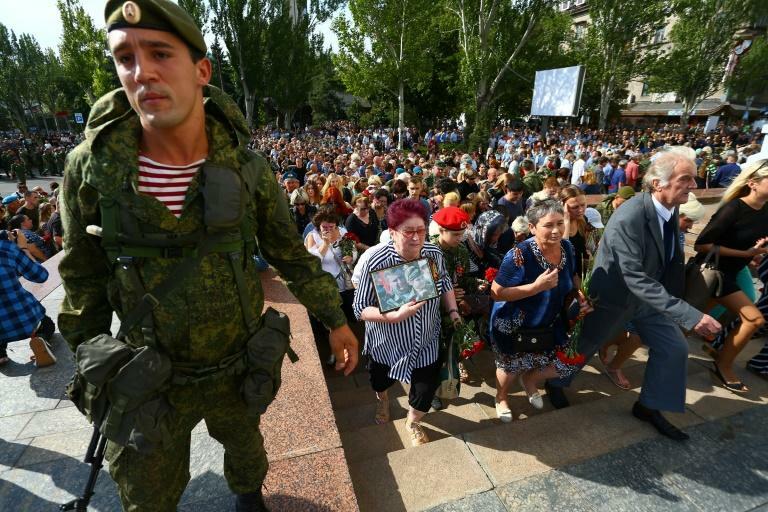 Throngs of admirers -- many clutching flowers and in tears -- formed a line to view the flag-draped casket of the 42-year-old chief of the self-proclaimed Donetsk People's Republic, whose body was lying in state in a theatre. Zakharchenko was killed in a bombing at a Donetsk cafe on Friday, becoming the four-year conflict's most prominent victim from the Moscow-backed side. In a statement carried by the Donetsk republic's official news agency, Russian President Putin's aide Vladislav Surkov called the separatist a "brother". "You are a cool guy, a true hero and it's a huge honour to be your friend," said Surkov, calling Zakharchenko Sasha, a diminutive form of his first name. A representative of the local authorities estimated the turnout at around 100,000 people, while an AFP correspondent said more than 30,000 turned up. Huge billboards erected in the city centre were plastered with pictures of Zakharchenko and his quotes. "All of us have one Motherland -- Russia", read one. The leader of Georgia's breakaway statelet, South Ossetia, Anatoly Bibilov, and Alexander Borodai, a Russian journalist and former prime minister of the Donetsk republic, were in attendance. Many mourners blamed Ukraine for the bombing. 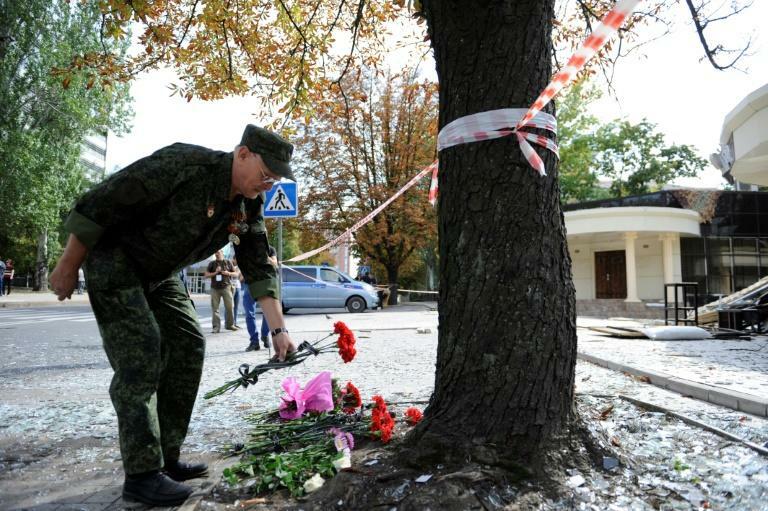 "We will never forget this tragedy, we will never forgive," said Sergei Kapustin, 35. Moscow and rebel authorities have said Kiev was behind the assassination, while Ukraine links the bombing to internal feuding and Russia's desire to control the territory. Putin's spokesman Dmitry Peskov and Russian Foreign Minister Sergei Lavrov have said the high-profile murder was a provocation and would derail the long-stalled, Western-brokered peace process. Kiev and its Western allies accuse Russia of funnelling troops and arms across the border. Moscow has denied the claims despite evidence to the contrary.